Dates crumble cake and ice cream would be the perfect dessert to fill an afternoon chat with friends or family. Mix margarine, butter, powdered sugar. Add the eggs, milk, and other dry ingredients, add the dates in the end, and mix evenly. Pour the batter into 2 rectangular loaves (brownies loaves, 30x10x3). 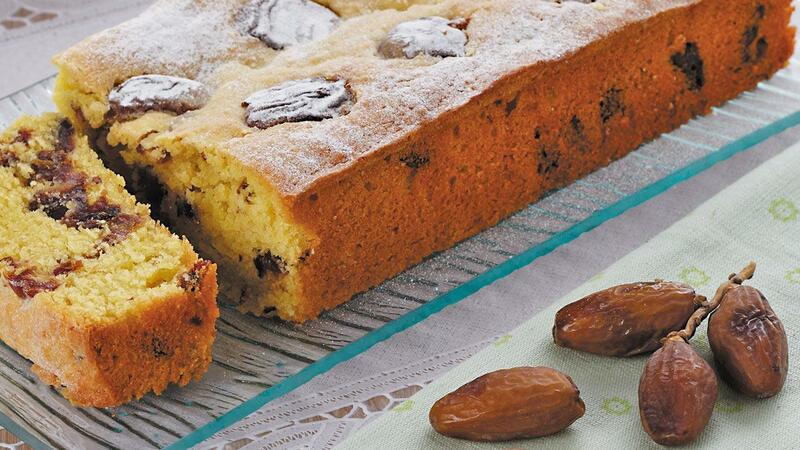 Put the halved dates on top of the batter, bake in a 170° C preheated oven for ± 30 minutes. Cool the cake, sprinkle powdered sugar on top.